Hotel California Kurfürstendamm 35 in Berlin - Official Website. 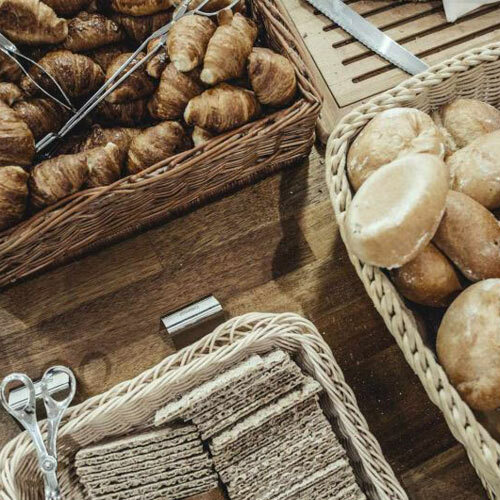 Complete your stay with our delicious breakfast. THE CITY TAX IS NOT INCLUDED AT IT WILL BE CHARGED AT THE HOTEL, DIRECT PAYMENT (ADDITIONAL 5% per night and per room). The Hotel California Kurfürstendamm 35, a 4 stars hotel, is located in one of the most popular avenues of Belin, Kurfürstendamm. Our hotel, object of architecture awards occupies two buildings. The first, designed by the well-known German architect Engelbert Seibertz, was one of the few that survives the World War II. The second building, designed by Hülsmann and Mangoldocupa, creates a contrast between the contemporary and classic style. Our hotel has 155 rooms and suites fully equipped with elegant and modern decoration. In addition, we offer a wide range of services that stand out for their high quality: we take care of every last detail in order to make your days with us such the perfect days. In our hotel you will find the room that best suits your choices. Explore the catering options and savor the best cuisine in an ideal place. At Hotel California Kurfürstendamm 35 we give you the keys to start planning your trip: come and explore a city of endless options!